Jet Airways has said it was in active discussion with various investors to secure sustainable financing. "We are in active discussions with various investors to secure sustainable financing to navigate through the current headwinds and create long-term growth. There is interest in our strong brand and confidence in our business turnaround efforts," Jet Airways CEO Vinay Dube said in a letter to its passengers. Dube told customers airline has reviewed its network and was deploying aircraft on more profitable, productive and economically efficient routes. The top court has asked the realty firm Amrapali Group to reveal by December 3 the details of all its properties in the name of directors, their family members, relatives, Chief Financial Officers and statutory auditors in India and abroad. It gave one last opportunity to Amrapali Group and its directors and promoters to comply with each and every direction passed by the court since May last year. The court has seized a batch of petitions filed by home buyers who are seeking possession of around 42,000 flats booked in projects of the Amrapali Group. The US has suspended $1.66 billion in security assistance to Pakistan after President Donald Trump's directive, the Pentagon has said, in what experts believe is a strong signal of American frustration. The Pentagon's statement came days after President Trump said that Pakistan does not do "a damn thing" for the US, alleging that its government had helped al-Qaeda chief Osama bin Laden hide near its garrison city of Abbottabad. 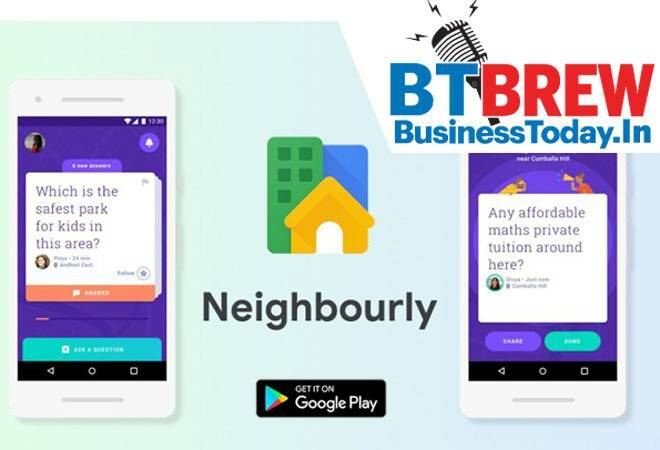 Tech giant Google is rolling out its 'Neighbourly' app, which aims to help people source local information from their neighbours, across India starting today. In May, Google had launched the beta version of the app in Mumbai and later expanded to Jaipur. In September, it expanded the availability of the app to five more Indian cities, including Ahmedabad, Coimbatore and Mysore. With over 1.5 million downloads and half a million people on the waitlist, Google is rolling out Neighbourly nationally starting with Bengaluru and Delhi on Wednesday as these cities topped the waitlist. Facebook said Tuesday users were having trouble accessing the social network and its other applications such as Instagram, but did not explain the cause of the outages. It was the second instance in the past two weeks in which technical issues appeared to affect access to Facebook.The hashtag #FacebookDown was trending on Twitter. Facebook gave no reason for the problems or details. While Delhi has been considering using cloud seeding to create artificial rain to fight the smog in the capital for two weeks now, things are yet to kick-off. Scientists have been waiting for the right meteorological conditions, namely plenty of clouds and correct humidity levels. Wind speed plays a vital role, too. While it's obviously difficult to predict exactly when atmospheric conditions will fall into place, the buzz is that the operation will take place this week. The idea is to use the artificial rain to clear the toxic air in the capital and provide Delhiites with a much-needed respite.